T he power of content for businesses in 2015 is stronger than ever. With full awareness that aspects like cloud storage and CRM systems can be integrated cheaply and accessibly, business leaders are not hesitant to produce more content than ever before. Whether it's social media updates or shared spreadsheets, businesses today are constantly producing content that has the power to bring in new leads and improve PR image. Many businesses use document management software, which all their employees are instructed to use. This is a platform that enables the ability to store, edit and share content among whichever users are granted access. Some businesses may feel safer managing their documents the old-fashioned way, but that's impossible for any large-scale business in today's world. The sheer volume of daily data demands document management software in many cases. There are a variety of software platforms that can help you manage documents better. Businesses should evaluate on an individual basis which one suits them best by researching the features of them all. If your business’s content requires highly collaborative work with remote employees, for instance, it would make sense to use a document management software that highlights integrated collaborative features like video chat. A highly functional and responsive search feature – The sheer number of files a typical business produces per week makes search entirely necessary. Mobile access – Being able to work on the go provides employees with great flexibility, making the opportunity for a more effective and proficient workflow a better one. Permission settings – Business owners should be able to set precisely who has access to what and what they can do with it. Legitimate security – A security hole can put a business at serious risk. As a result, it's integral that any software you're using to manage documents is highly secure, with the ability to encrypt data. If a document management software isn’t offering at least some of these features, a business should consider alternatives. Once the software is integrated, and the employees are acquainted with it, it’s important for business managers to adapt system procedures to previously established business practices. This way employees won’t be overwhelmed with too much procedural change. A lean and effective workflow is the aim with document management, but this can't be facilitated without a successful integration. As such, it’s strongly recommended to consider every facet of how a content management software matches up with your business’s procedures. A failed document management system integration can result in a business’s demise. 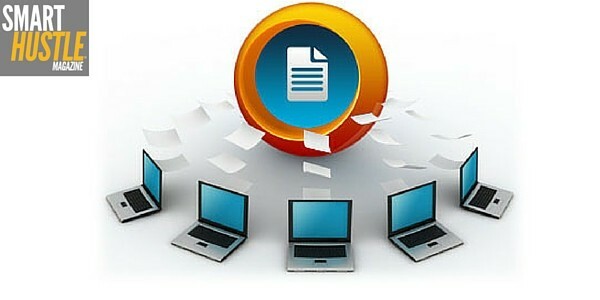 Effective document storage and management is crucial in inspiring perpetual productivity and growth, especially for new businesses or those who have just recently implemented digitalized document management.